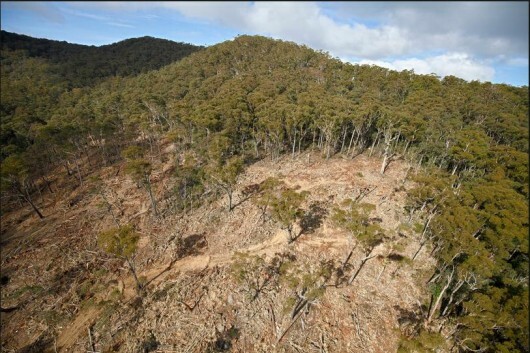 The Federal Coalition Government has declared the forests open for business and tried to strip World Heritage listing from Tasmanian forests to permit yet more clearfell logging and woodchipping. It has also passed new laws adding native forest wood to the clean energy sources under the Renewable Energy Target, effectively giving the logging industry a public subsidy to burn forests for electricity. The move potentially creates a massive new ‘woodchip’ industry as forests are felled to fuel domestic power stations and huge amounts of whole logs or pellets are shipped to North Asia for power plants and domestic heating. These changes have been strongly supported by State governments and State Forestry agencies are now scrambling to identify massive new wood resources for long term contracts to supply biomass fuel from the forests. In NSW there are nearly two million hectares of native forests subject to intensive industrial logging and woodchip operations. The South Coast, the North Coast as well as Pilliga and other western State Forests will be likely targets for the dense hardwood eucalypt species presently not suitable for pulp making and possibly also the White Cypress Pine. These State Forests are supposedly managed “sustainably” for both timber resource and the conservation of nature, especially the wildlife. 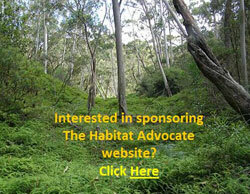 As such they form an essential part of the biodiversity reserve system. It is a nonsense on both counts – the State’s Forestry Corporation has overestimated the resource available and cannot meet various contract commitments. Worse, the intensive logging and clearfelling can in no way sustain the required habitat for most forest wildlife. On the South Coast from Nowra to Eden there are less than 100 surviving Koalas after 40 years of intensive logging and woodchipping and this is just the tip of a massive biodiversity crash in our forests. In NSW, complimentary legislation to allow forests to be burnt for electricity was passed last year and the Liberal Government is proceeding to change the logging rules all along the east coast to permit access to areas previously off limits such as rainforest and old growth remnants, streamside buffers, endangered species exclusion areas and very steep land, including cable logging for slopes over 30 degrees. Twenty year forestry agreements (Regional Forestry Agreements) around the country are set to be renewed over the next few years and negotiations between the Federal and state Governments for renewal of the five NSW agreements have already begun. These agreements suspend almost all environmental protection laws for forests with the result that the forests have been mercilessly over logged at unsustainable supply levels and with massive damage to biodiversity. On the South Coast from Nowra to Eden there are less than 100 surviving Koalas after 40 years of intensive logging and woodchipping. Both Federal and State Labor profess to oppose the burning of forests for electricity but Federal Labor refused to block the passage of the new RET laws allowing forests to be burnt for electricity. The NSW labor Party opposes cable logging. However, both Federal and State Labor are still in support of continuing intensive logging and woodchipping of native forests. WE have to change the position of one of the two big parties and Labor at this stage seems the best prospect. If you would like to support the Log Off campaign to put an end to native forest logging once and for all, please contact ChipBusters at chipbusters@iinet.net.au or phone 0425 23 83 03. 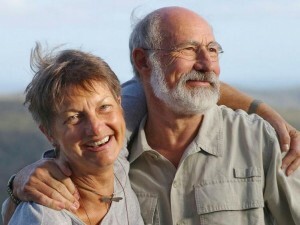 Sydney conservationist Richard Green, his wife Carolyn and passenger John Davis were found in the helicopter’s wreckage in mountainous terrain, south of Cessnock, in the Watagans National Park on Monday. The aircraft, which took off from Breeza in northern NSW on Saturday, had been reported missing on Monday after it failed to arrive at its destination, Mona Vale. This entry was posted on Tuesday, November 17th, 2015	and is filed under Threats from Deforestation. I am very sorry that Richard Green, his wife Carolyn and John Davis died in the plane crash. This is a very good and timely article. The forests are being cut all over Australia for the ‘woodchip’ industry and profit to fuel economic growth without a thought given to the fact that our planet is not growing. The photo shows clear fell forest – this to me is a desecration, devastation, obscenity. Climate warming is obvious and yet we are destroying carbon sinks at an alarming rate. We have already produced air-conditioners to keep us cool, desalination water plants and soon we will have to produce air-purifying machines so will be able to breath. The fact that forests are our life supporting ecosystem processes was and is well known to Aboriginal people and also for a long time to us. Yet, in spite of this, the Federal Coalition Government passed the new laws adding native forests’ wood to the clean energy sources under the Renewable Energy. I am so happy that there is a Log Off campaign to put an end to native forest logging, as continuing to do so is clearly a process of our self-distraction.